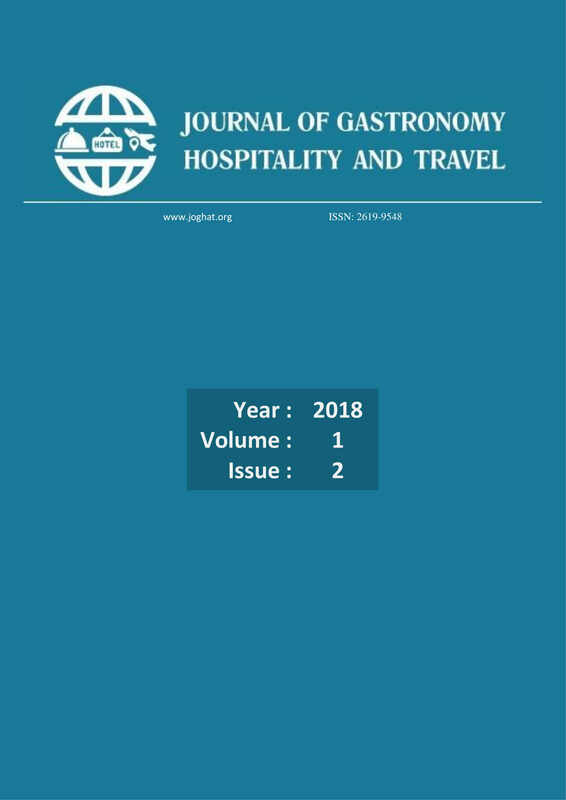 Journal of Gastronomy, Hospitality, and Travel (JOGHAT) is a journal for all those concerned with the planning, management, marketing, education of gastronomy, hospitality, travel, recreation and all components of tourism. The journal is pursuing free of charge publication policy. It is open access journal. The journal is a refereed academic journal. The journal is published twice a year (June - December) and online. Theoretical and research articles published in the journal should be in English or Turkish. The journal is an international open access online journal for both readers and authors. The journal welcomes both specific studies and large-scale policy and planning studies. Articles are the results of anonymous reviews by at least two referees chosen by the editor for their specialist knowledge.